I know, it seems early for Christmas/the holiday season but this is the first of the series I am doing leading up to Black Friday so you can make your gift lists before you go out shopping or spend a cozy cyber Monday in. I figure, why not start easy and simple: your gal pals. Packs of hot chocolate and/or instant coffee. All you need to do after that is write your bestie’s favorite quote on the mug, bake it (this site has a slightly different approach but also a great idea! ), make sure to stick a little note in it that they can’t put it in the dishwasher, put on a ribbon and you’re done! Customizable anything can be found on Etsy and it’s all adorable. If you don’t have time to prep an Etsy order you can find so many great things on Amazon. Candles with jewelry hidden inside- a novelty! 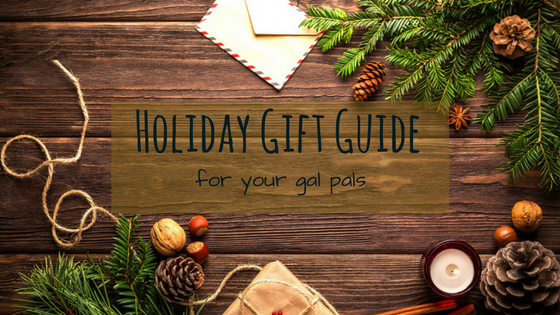 Let me know what you’re getting your bestie for Christmas! I left out my actual presents because I’d like it to be a surprise. There are a few hints though! *DISCLAIMER: MARY’S AVERAGE ADVENTURES MAY BE COMPENSATED THROUGH YOUR CLICKING OF SPONSORED LINKS. Previous Article I’m a Feminist, Liberal, AND most importantly, a Christian. I love gift shopping. It’s all the fun of shopping with less guilt about “do I REALLY need this?” attached to it. I also love getting gifts based on events. One of my friends just got engaged, so I got her a customized ornament on etsy that has she and her fiance’s names on it with the date he proposed. It’s adorable. Side note–love your graphic for this! Shopping for other people is the best!! I love to scheme for sales hahah. Customized anything is always great. I might have a slight Etsy addiction when t comes to holidays and birthdays haha. Thank you!! I got the picture from picabay, a free stock photo site!